When it comes to choosing a flooring material for your home or office, you want to be sure to pick a material that will be durable, attractive, and easy to maintain. From hardwood to tile and carpet, there are so many options available for flooring applications on the market today that it can be overwhelming and challenging to know which one is right for you. Additionally, if you try researching various flooring types, you’re likely to come across a lot of information, and not all of that information is accurate. For example, there is a lot of misinformation out there about carpet that can steer people away from its warm and luxurious beauty. At Mountain Valley Floors, our carpet installers have been transforming homes with quality carpet installations and materials for more than 20 years. From project design to completion, we’ve got your carpet flooring needs covered. Today, we will take a look at three of the common myths related to carpet floors and discuss the truth behind them. Carpet installers likely agree that this is probably the most common myth about carpet flooring. 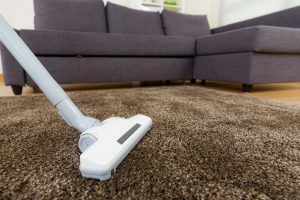 So much so, in fact, that many people have avoided installing carpet in their home, or have removed the carpet from their home, in an effort to mitigate allergy and asthma symptoms. In reality, properly cleaned and maintained carpet can actually act as a passive air filter in your home. Most of the carpet manufactured in the United States is composed of materials such as polyester, cotton, wool, nylon, acrylic, and/or polypropylene. By their nature, these fibrous materials can actually immobilize and trap allergens such as dirt, dust, and pollen, preventing their transmission through the air and into your lungs. When compared to its wood and tile counterparts, carpet actually does a better job at containing these particulates. Who knew? Many people express concerns to carpet installers about the kind of materials and chemicals that carpeting is manufactured out of, and rightly so. When you have kids and pets, a lot of activity happens on your floor, and the health of your family is paramount. This myth is likely rooted in the fact that formaldehyde was sometimes used as a resin hardener in the carpet manufacturing process prior to 1978. In truth, carpet actually carries the lowest volatile organic compound, or VOC, emissions of all the typical flooring applications. Any VOCs given off by carpeting vanish within a day or two. Additionally, many modern-day carpeting manufacturers boast materials meeting the Carpet and Rug Institute’s (CRI’s) “Green Label +Plus” standards, indicating low VOC emissions. Some people believe that carpet requires much more maintenance than tile, hardwood, and other flooring applications. In truth, the level of difficulty you have maintaining and cleaning your flooring is largely depends on your lifestyle and how you care for your flooring. Carpet is like any other flooring material in this regard, in that if you don’t take efforts to maintain it, it will quickly begin to show dirt, wear, and tear. Light spot cleaning and a quick vacuum once or twice a week will remove any dirt and debris before they are ground in to create staining. Some may argue this is less cumbersome than sweeping and mopping hard-surface floors and waiting for them to dry. Additionally, depending on traffic level, it is recommended to have carpets professionally cleaned every year or two, whereas hardwood floors should be waxed more frequently to maintain their beautiful gloss. 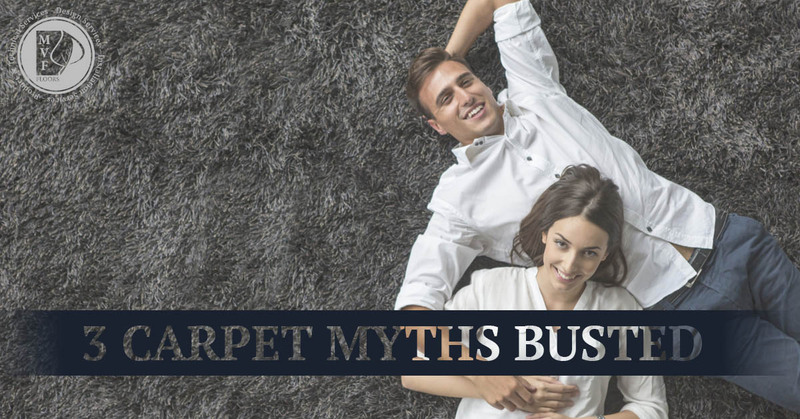 These are just a few of the myths we’ve heard about carpet flooring, and we’ve heard a lot in the last 20 years. If you’re considering the warmth and softness that quality carpeting can bring to your home or office, consider the expert carpet installers at Mountain Valley Floors! We’d love to speak with you and work with you! Not only do we carry many of the top brands in carpet, but we’ll gladly provide free in-home measurements and estimates. Whether you’re in Loveland, Fort Collins, Windsor, or Greeley, we are the flooring contractor you’ve been looking for.